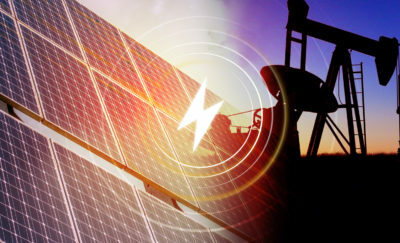 The U.S. Energy Department recently awarded $46.2 million to fund solar power research. 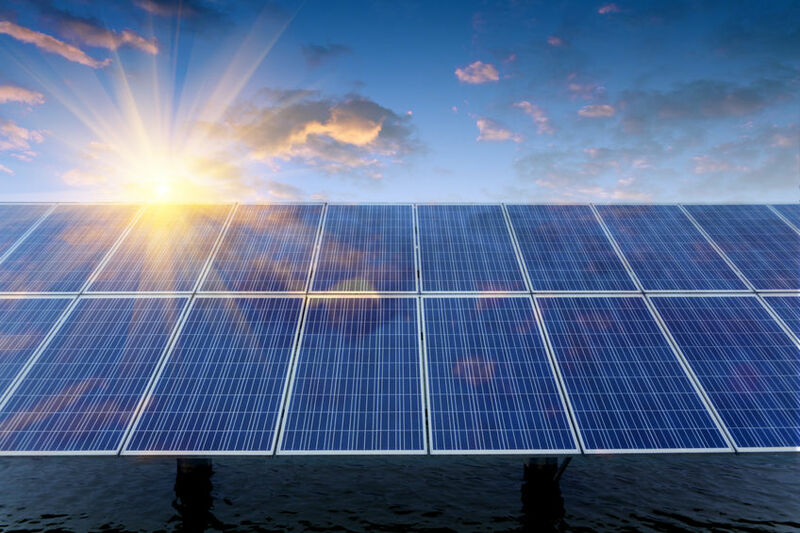 The research grants are meant to find ways to improve solar energy technologies and also help reduce the cost of this source of solar-generated power to 3 cents per kWh by 2030. The dollar-cost per watt generated was reached three years ahead of schedule. There are 48 research projects to be funded, mostly within universities and laboratories to ensure that there is a continuous pipeline of technology solutions, knowledge, human resources, as well as further scientific research to support solar energy. Arizona State, which is developing an X-ray test for thin-film module performance under harsh environments. Stanford University received a grant for $1.37 million to improve module design using perovskite instead of silicon. $1.13 million worth of grant money will go to Colorado State University for the improvement of manufacturing thin-film. SolarReserve Inc. is set to receive $2 million in research grants to reduce the cost of storing molten salt. The initiative traces its roots to the Bush Administration in a project called SunShot, which aimed to achieve 5-10 gigawatts of solar-power energy generation by 2015. During the Obama Administration the goals changed to lowering the costs of unsubsidized solar energy to be at par with electrical power from regular fossil fuels. By 2015, the cost of solar energy production was estimated at 90% of fossil fuel costs. The Trump Administration indicated that the federal government will no longer support solar energy and renewable energy projects, preferring instead to focus on inexpensive fossil fuel production, including fracking for shale oil. However, the grants were already proposed and in place under the SunShot project which was first approved and implemented by the Bush Administration. In 2006, the Bush Administration launched the Solar America Initiative. In 2011, The Obama Administration transformed and rebranded the project under the SunShot initiative, which aimed to achieve parity between the cost of solar energy and fossil fuels. Its name references the “Moon-shot” project launched by the Kennedy Administration during the 1960s. The project reached the 90% mark in 2016. In terms of actual figures, the target was set at $1.00 per watt of production by 2020. In 2011, the cost was $4.00 per watt, and by the end of 2016, institutional cost was below $1.00 per watt using fixed-tilt solar arrays. The dollar-cost per watt generated was reached three years ahead of schedule. 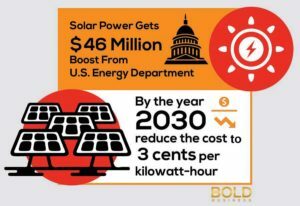 With the realization that the goals were going to be met with unqualified success, the SunShot Initiative set new goals which included halving the cost of solar generated power before 2030. With the new round of funding for solar energy projects and research, there is a continuing pipeline of ideas, discoveries, and technology, as well as manpower which can be tapped for further improvements required by any industry. 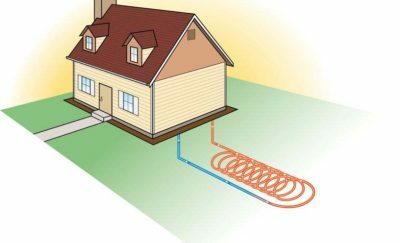 While the majority of solar projects focus on installing solar roofs on houses to create a sustainable household energy, there is always room for more bold and innovative alternatives.